The Indie Lens Pop-Up series is presented by Nine Network of Public Media and the Missouri History Museum, in collaboration with Independent Lens and Independent Television Service. 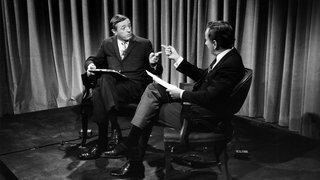 Best of Enemies captures the legendary 1968 debates between two famed intellectuals and ideological opposites: leftist Gore Vidal and neoconservative William F. Buckley. Their televised sparring shaped a new era of public discourse in the media, demarcating the moment TV's political ambition shifted from narrative to spectacle. After the film, stay for a discussion with our famous Donnybrook debaters. The film will air on Nine PBS Monday, October 3, at 9:00 p.m. In this true-life romantic comedy, Meet the Patels explores the influences of culture and identity on the most intense, personal, and important part of one's life—love. 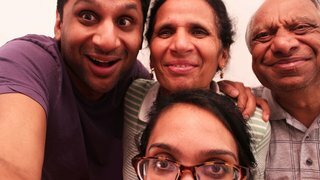 Ravi Patel is almost 30, an actor, and worst of all to his traditional Hindu parents, still unmarried. After he breaks up with his white girlfriend, Ravi submits to his parents' wishes and allows them to play matchmaker. A Q&A session with Vasant Patel, Ravi’s father and executive producer of the film, moderated by Nine’s Jim Kirchherr, will follow the screening. 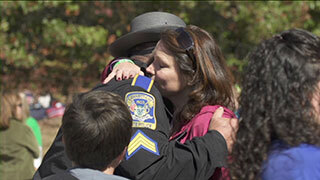 The film will air on Nine PBS Monday, December 26, at 9:00 p.m.
Wednesday, January 25, 7:00 p.m. Located in an impoverished Mojave Desert community, Black Rock Continuation High School is an alternative school for students at risk of dropping out. Every student here has fallen so far behind in credits that they have no hope of earning a diploma at a traditional high school. Black Rock is their last chance. Extraordinary educators believe that empathy and life skills, more than academics, give these underserved students command of their own futures. This coming-of-age story watches education combat the crippling effects of poverty in the lives of these so-called "bad kids." Wednesday, February 22, 7:00 p.m. In the world of competitive stepping, they are the team to beat. 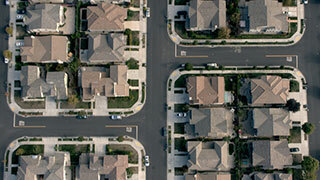 Off stage, the Gentlemen of Vision are growing up in struggling working class suburbs. Ferguson is their backyard and their reality. In many ways, they are like countless kids from tough homes and neighborhoods, but they have a bond, a brotherhood, and a leader whose dedication is rock solid but his love is tough. Gentlemen of Vision founder Marlon Wharton has built the team’s winning tradition by acting as both stepping coach and life coach. He demands from them time, discipline, good grades, and a clear plan for a future after graduation. The film depicts the struggles and successes of team members during GOV’s 2015-16 season. For many, this is their senior year; as steppers their goal is to win the two major national competitions; as young men, their goal is to survive and move on to achieve their dreams. Wednesday, March 1, 7:00 p.m.
Newtown explores the aftermath of the mass shooting in Newtown, Connecticut, where 20 first-graders and six of their educators were killed on December 14, 2012. Joining the ranks of a growing club to which no one wants to belong, the lives of several characters profoundly affected by the fallout of gun violence interconnect and propel the town toward introspection and action. At the center of the film are three U.S. veterans. Tortured by guilt over participating in the killing of faceless people in foreign countries, they decide to speak out publicly, despite the possible consequences. Their stories take dramatic turns, leading one of the protagonists to Afghanistan where she learns about a horrendous incident. But her journey also gives hope for peace and redemption. National Bird gives rare insight into the U.S. drone program through the eyes of veterans and survivors, connecting their stories as never seen before in a documentary. Sonia Kennebeck, director and producer of National Bird, will be on hand for discussion after the film. Wednesday, June 7, 7:00 p.m.